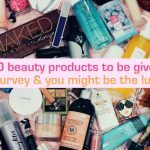 Do you stop yourself from buying more makeup simply because you do not have enough space on your tabletop or in your drawers? 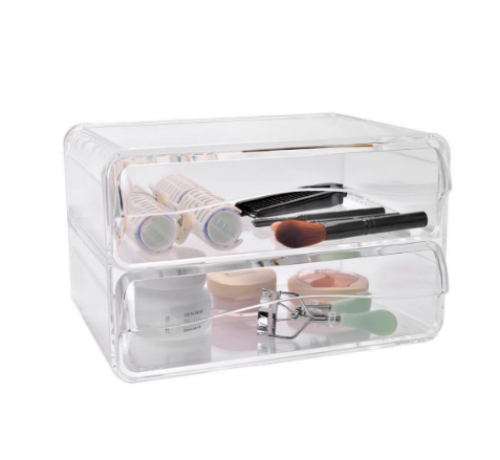 Keeping your cosmetics organised is a way to save time and even money, as it prevents things from going missing and spilling all over one another. 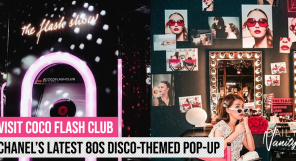 Sorting out your stash could also give an odd sense of satisfaction when your collection of lipsticks, eyeshadows, concealers and everything else are sitting in neat rows and compartments. 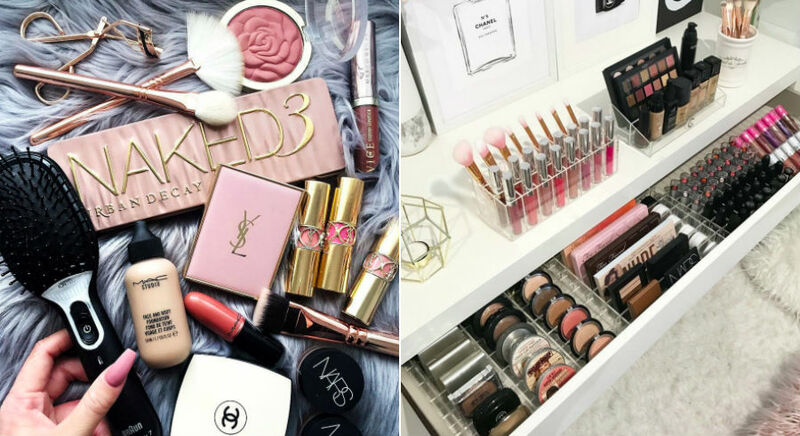 Not sure how you can start organising your makeup stuff? 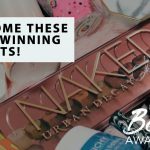 Check out this list of makeup organisers that could help you to begin decluttering. Drawer organisers are the best for clearing items on tabletops. 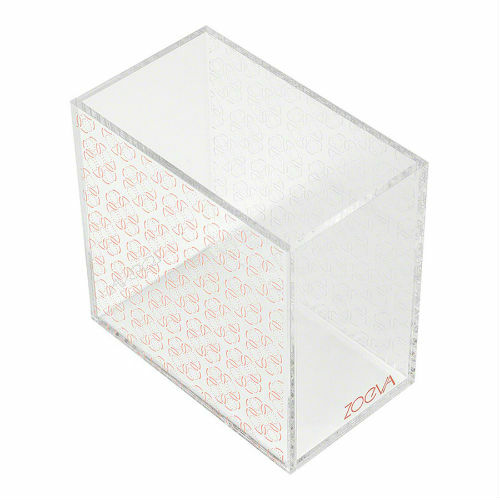 Clear acrylic boxes allows you to display your products while keeping them free of dust. 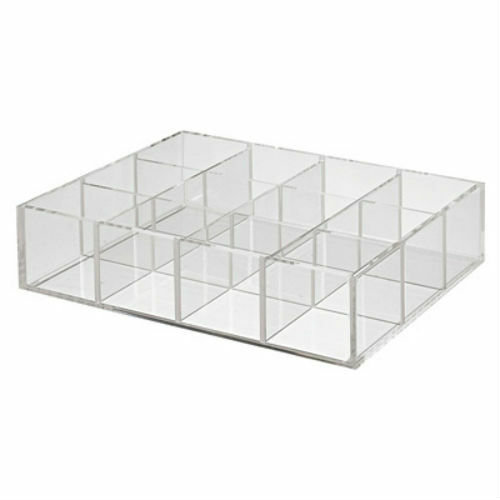 This 2 Drawers Organiser Box is spacious enough for you to store bigger items such as skincare and BB cushions. If you need more storage, you could buy a few of such boxes and stack them up to create more drawer storage. 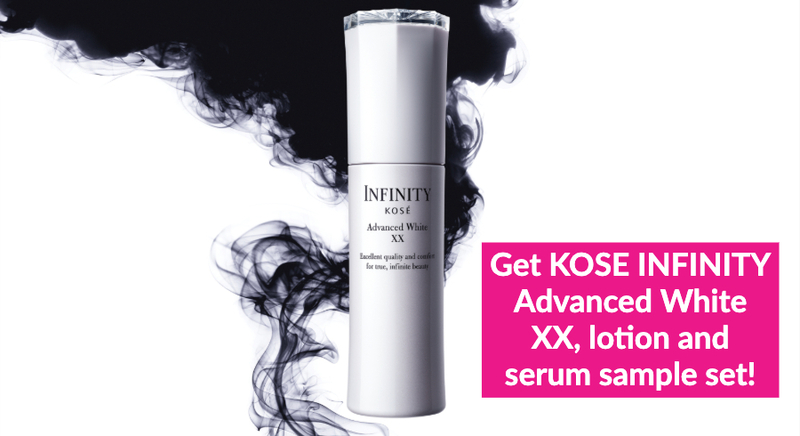 Available on Inuiga for SGD43.80. 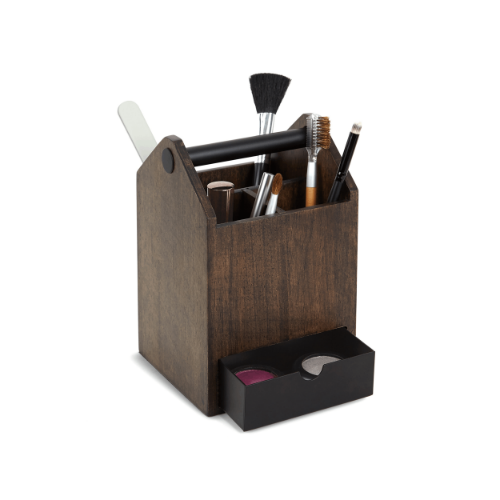 For display and storage of makeup brushes on your table, Umbra Toto Tall Box does the job. 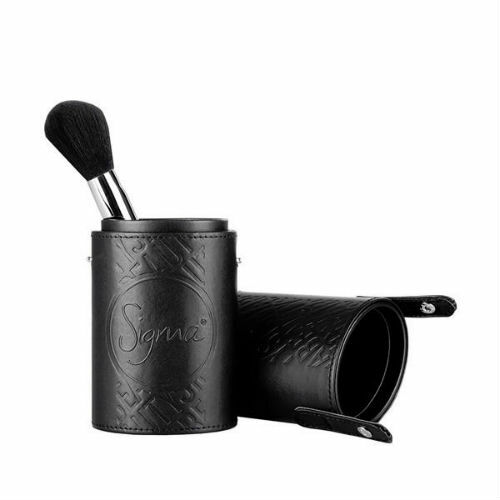 It has taller compartments that allow you to keep your brushes standing, and a mini pull-out drawer at the bottom for storing smaller items. 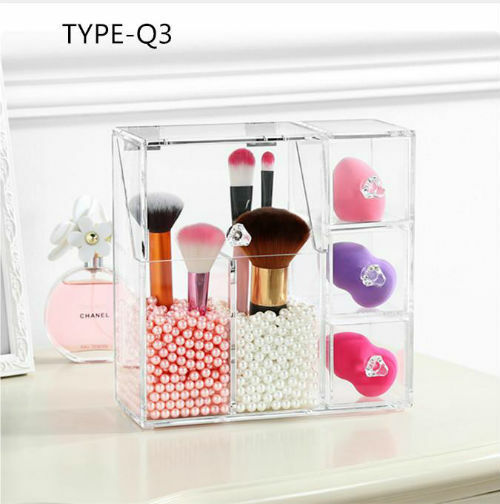 You could keep your makeup puffs and sponges in the mini drawer to make this your beauty tool organiser. Love the dark wooden design of the Toto Tall Box? 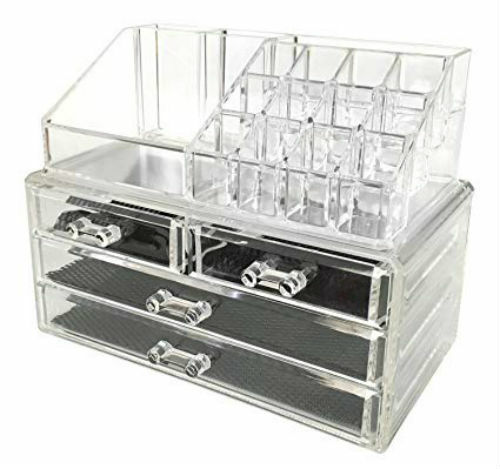 The good news is there is another similar makeup organiser in a different shape and size! For those who prefer a long box with a wider drawer space, this would be the alternative to the tall box. 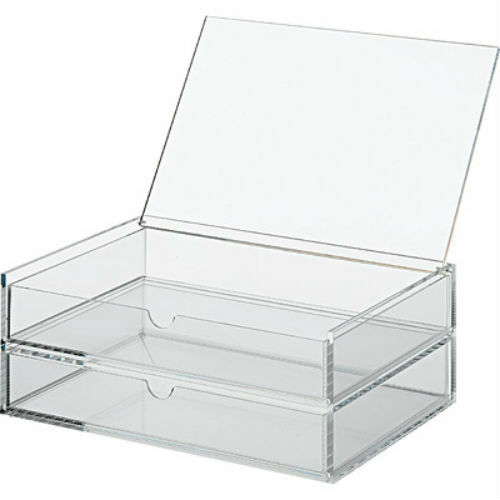 This 2 row organiser box comes with a lid that you could flip open. 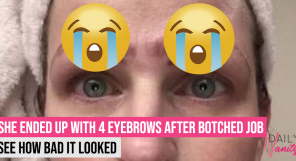 You may not notice the functionality of the top lid right away but it helps when you are halfway through your makeup or skincare routine and wish to quickly access the item that is kept further inside the drawer. 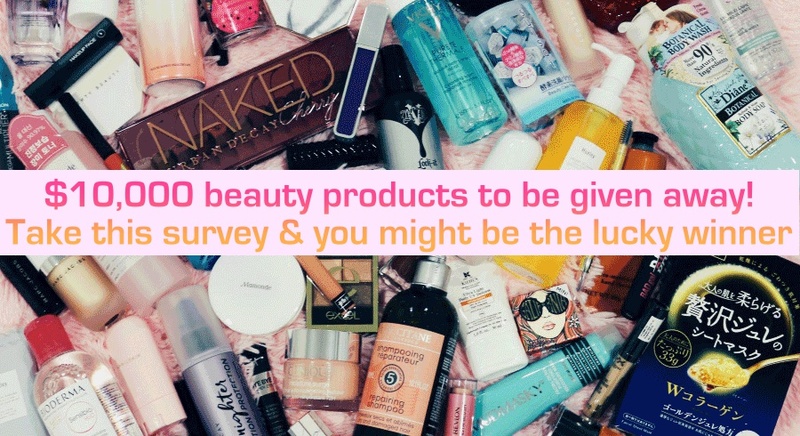 If you are a beauty hoarder, you would probably have countless products that are in the shape of pens, pencils, tubes and sticks. 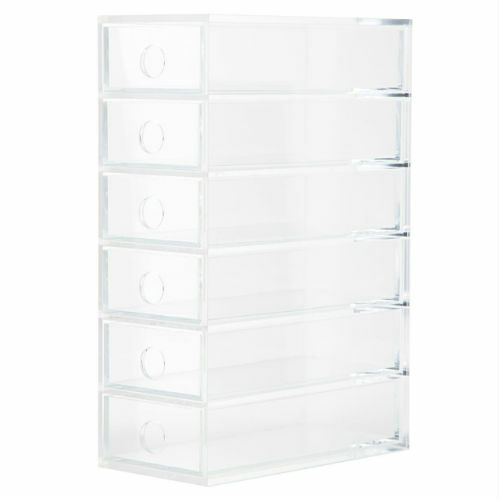 With this 6 Drawers Unit, you could store your eyeliners, eyebrow pencils, liquid concealers, liquid lipsticks and mascaras in separate units of the same organiser. 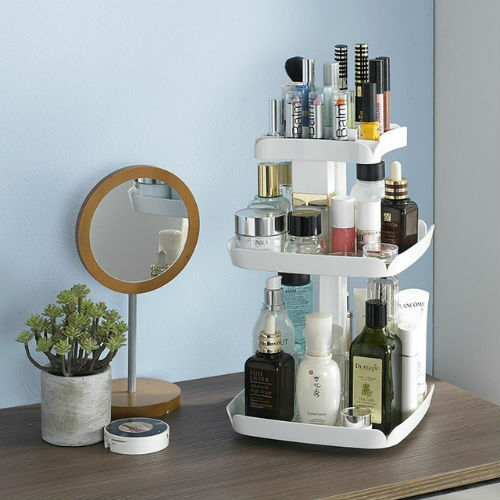 You may already have a vanity table that comes with drawers but there are also makeup organisers that could help you to make use of your storage space within the drawers. Using drawer inserts with compartments could help to arrange things and also gives the flexibility of moving it around. 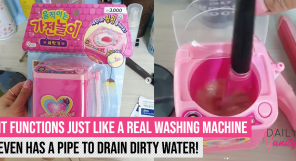 You may place it on the tabletop instead as a beauty tray too. 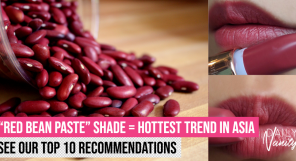 Lipstick holders are essential organisers for beauty hoarders. 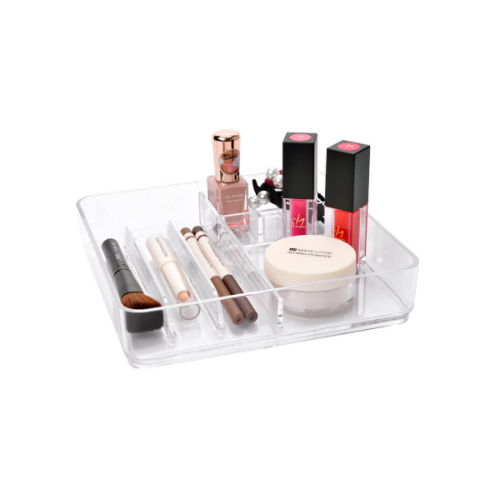 If you are worried that your lipstick collection will outgrow the number of slots in no time, this stand comes with removable partitions so you could turn this into another organisation tray for other products. 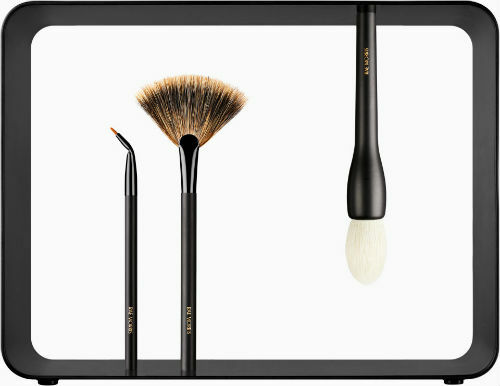 If you are looking to get an organiser for your brushes and do not wish to leave them exposed, a brush box would be what you need to get. A brush box comes handy for keeping your freshly cleaned brushes free from dust and bacteria. 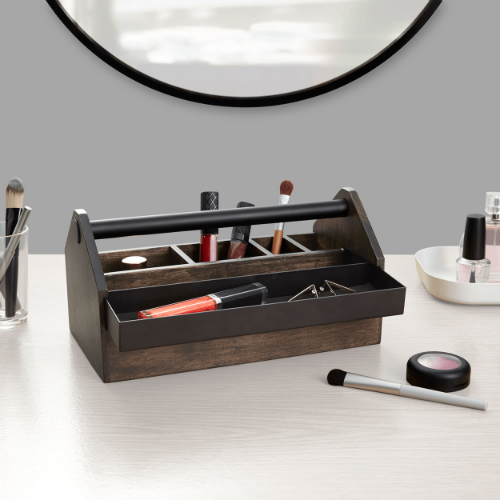 For smaller vanity tables or limited counter space, a rotating makeup organiser will be helpful in maintaining tidiness. 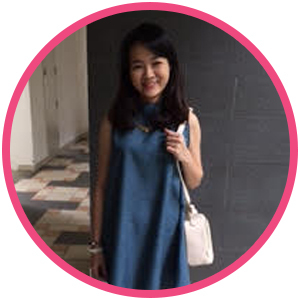 This organiser is able to rotate 360 degrees so you could retrieve your items easily. 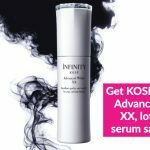 We would recommend placing heavier items such as skincare and perfume bottles at the bottom tier, and lighter products at the top, so the organiser would be steadier and could spin better. The best of both worlds – drawers at the bottom and lipstick stand at the top. 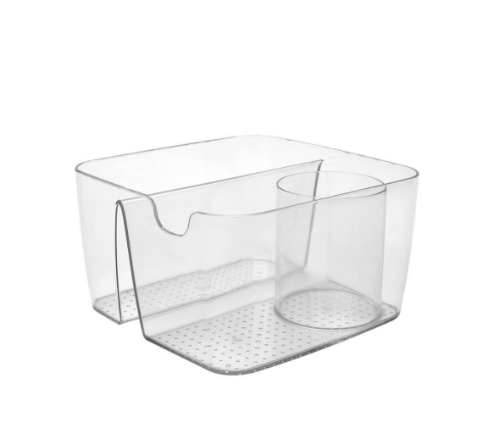 You could stack this 2-piece set on top of another drawer organiser to create more storage and save space. 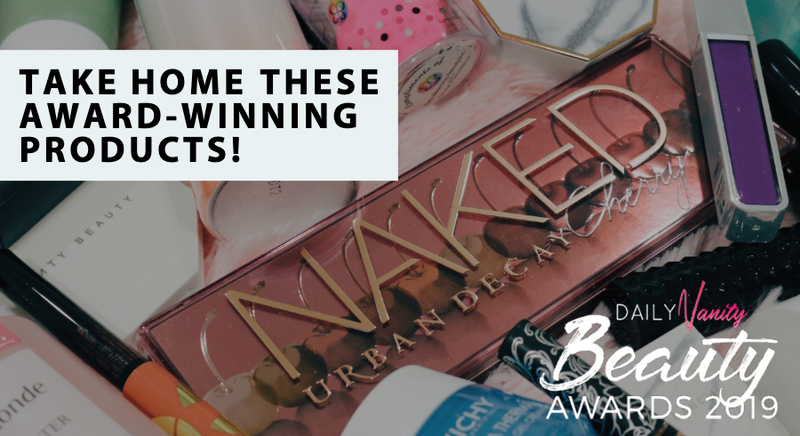 You may know which organisers to get for the brushes on your vanity table but maybe not for those waiting to dry in the bathroom. 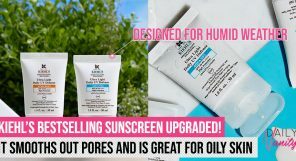 Besides brushes, you may have some skincare and hair serum that are just sitting on the bathroom counters waiting to be organised. This hair dryer organiser is not only used to hold your hair dryer but can be transformed into a multi-beauty product holder. Another organiser insert, but this comes with more partitions that are deeper so you can use it for products of various sizes. 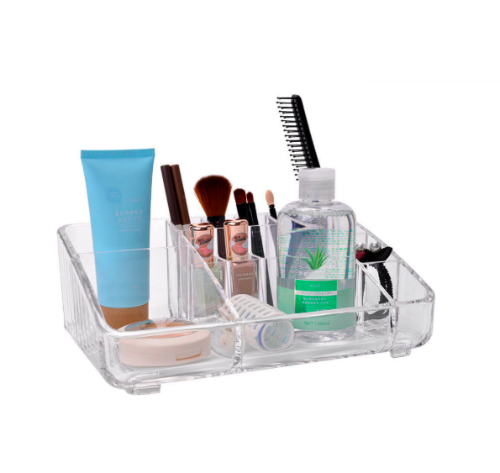 This would be another useful makeup organiser for the bathroom if you do not wish to throw everything into one big basket and have a hard time digging for the smaller items such as tweezers and contact lens cases. Transparent design but not exactly, and in the all-time-favourite Rose Gold colour, this is the brush holder you could get if you are bored of the clear acrylic ones. When your table can’t accommodate anymore holders and drawers, you could get a frame instead. 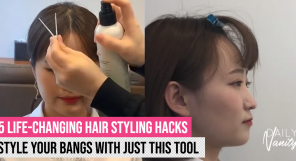 The bonus is that this frame is weighted at the bottom so you don’t have to worry about toppling it over when you try to get your brush out. A two-in-one type of organiser, this brush cup holder can be used at home or carried out for work or travel easily. When opened, both sides can be used as brush cups so essentially, you are getting two holders for the price of one.